Sketchcollectors.com For The Win. | The Sketchcard Saloon. ← Thursday Thirteen: Shuma vs. Thanos in The Video Game That Changed My Life. See the three Squirrel Girls at the top? Those are from our personal collection. They were featured on the front page of sketchcollectors.com this morning and we got that special attention thrill that only the interwebs can provide. You too can experience such pleasure. Simply register today for free and start uploading your cards for the world to see. The most recent sketches added to the site are always displayed under the main banner, so you can get your own collection famous right away! Sketchcollectors.com is a spectacular resource for our community. As soon as you familiarize yourself with the controls, you can gaze in wonder at the awe-inspiring collections of single individuals around the world. The miniature museums owned by such art lovers as Deathstorm, FeedtheLion, or Haljordanfan are enough to make your eyes bleed with ecstasy. Another pull down menu will allow you to survey the spectacular scribblings of specific individual artists. Check out the incredible detail of Nar, or ride the rambunctious realism of Rhiannon Owens, or allow yourself the adult pleasures of Axebone. Whatever your favorite sketchcard flavor, sketchcollectors.com lets you wallow in it. Currently there are only 12 Squirrel Girls on the site. That will soon balloon, since she was featured prominently in the Marvel Dangerous Divas set. 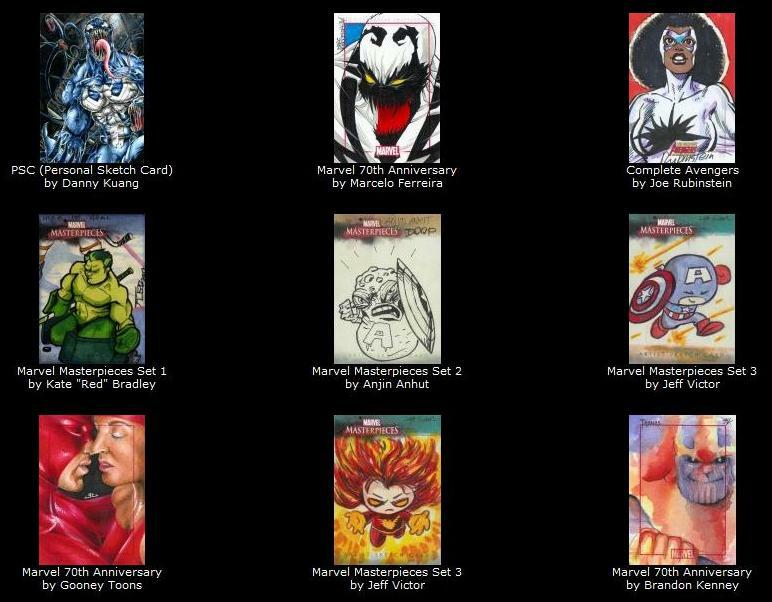 Use the search box to check out your own favorite character, and groove on the glorious interpretations of classic superheroes that can only be found in the world of sketch card madness. Sketchcollectors.com is a brilliant resource for our hobby. Head over and check it out today. 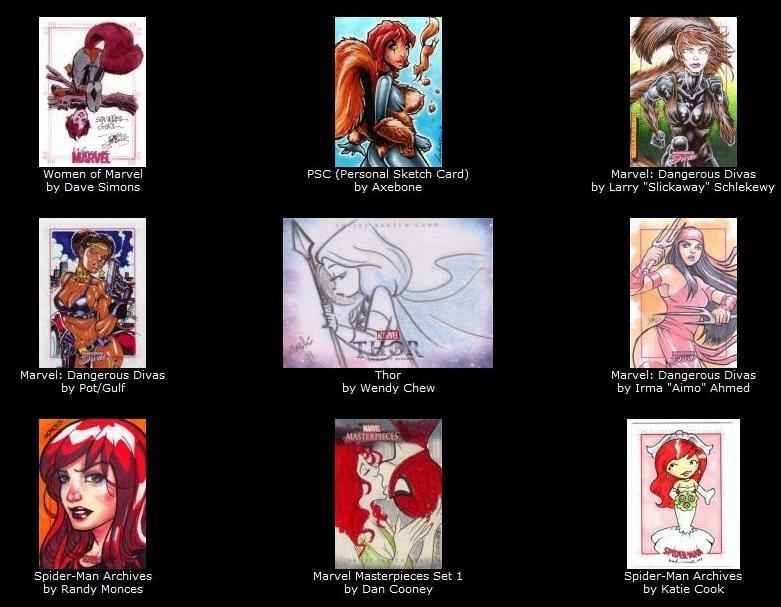 This entry was posted in Announcements and tagged Axebone, Nar, Rhiannon Owens, sketchcollectors, sketchcollectors.com. Bookmark the permalink. 1 Response to Sketchcollectors.com For The Win. Jeff Victor’s Captain America is SO CUTE!! MY EYES BURN!!! !